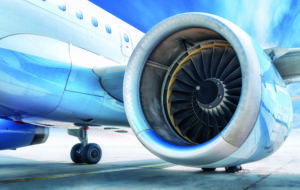 Jet engine components are exposed to extreme thermal loads, particularly during take-off and landing, and need to be protected by thermal barrier coatings (TBC). These can be damaged by the mechanical stresses of repeated thermal expansion and contraction. One promising idea for enhancing TBC endurance involves tailoring the surface design of components to create a stronger bond with the ceramic top layer. Innovation: In collaboration with Rolls-Royce, EARTO member Fraunhofer developed additive manufactured filigree metallic structures and a process for coating entire curved components. The solution, based on the work of FP6 project TOPPCOAT, increases TBC performance and lifetime, allows for longer service intervals and reduces fuel consumption by 10%, increasing the overall efficiency of jet engines. The Fraunhofer- Gesellschaft is a German RTO, which has a clearly defined mission of application-oriented research, with a focus on key technologies of relevance to the future.